Walter Hughes (Rotary Club of Rocky Mount, VA-USA) – "Rotary Geek"
Rotary means different things to different people. For some, it means friendship and fellowship with like-minded people. For others, it means an opportunity to develop leadership and business skills. For some, it’s a way to solve a problem in a local community. For Walter Hughes, Jr., Rotary seems to be the vehicle by which he is able to change the world. He is, in fact, the epitome of a “champion of change.” It’s no accident that he was given that exact recognition by the White House in 2013. 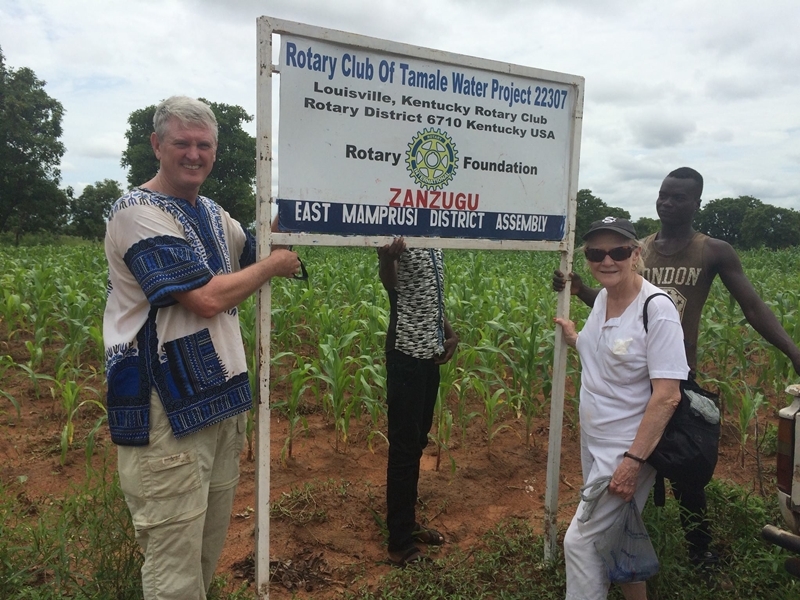 Over the past ten years, Walter and his teams of Rotary (and non-Rotary) volunteers have helped provide clean water to more than 300,000 people i n Africa. He has successfully partnered with Rotary Clubs in 21 US states, 2 Canadian provinces, Switzerland, Ghana and South Sudan, as well as other non-profit organizations and churches, to help eradicate Guinea Worm disease in Ghana. Walter admits he didn’t even know about the international dimension of Rotary when he joined in 2000. “I initially joined to spend time with my dad and to make friends in the Rocky Mount (VA) area,” he said. But he quickly learned he was part of something much bigger, and through Rotary, could transform lives all around the world. He has been part of projects providing clean water, micro-flush toilets, medical equipment and school computers. But more importantly, the projects he manages have truly changed lives. It’s hard to even fathom the money he has helped raise, the lives he has saved and the children he has helped educate. But those impacted aren’t just on the other side of the globe. Some are in his own hometown. Most of us are lucky if we ever experience one “Rotary moment” that defines our purpose. Walter Hughes has had too many to count. 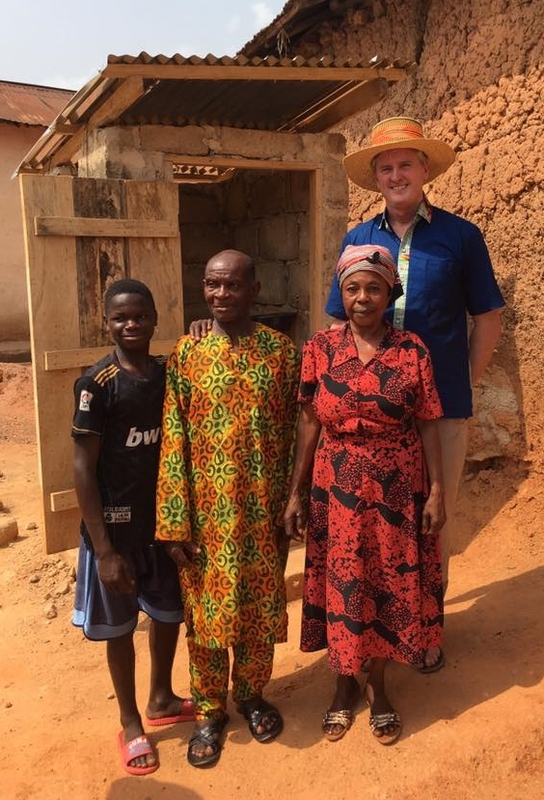 **Walter invites anyone interested in learning more about his efforts in Ghana to join him on one of his upcoming trips. He is also willing to speak to your club, district or community to share his mission and his ministry. He can be reached at walterkhughes@gmail.com.